My Life as an Armenian Fish Farmer's Blog | A collection of writings about lifes whimsical twists and turns……………… by: Earnest Gene Lawrence Jr. These are great ideas that all people should aspire to integrate into their everyday lives. Unfortunately, this will not happen according to some. I want you to accept me and if you don’t then you are an evil, hateful, bigoted person. I want us to be diverse in our group, as long as we are all the same in our group. You need to be tolerant of my beliefs but I refuse to be tolerant to yours. Continue Reading ………….. There is no doubt in my mind that racism still exists. However one needs to be careful calling someone else a racist. Ask yourself whether it is racism or ignorance? There is a difference. When someone says those blasted Muslims, or all those black people, those whites, those anything of the sort, then they are racist. 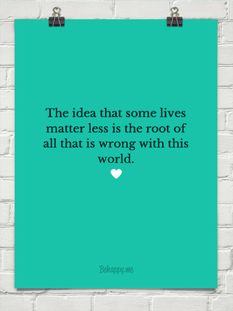 Regardless of color, race, gender, sexual orientation, or any other “qualifying” status that …….